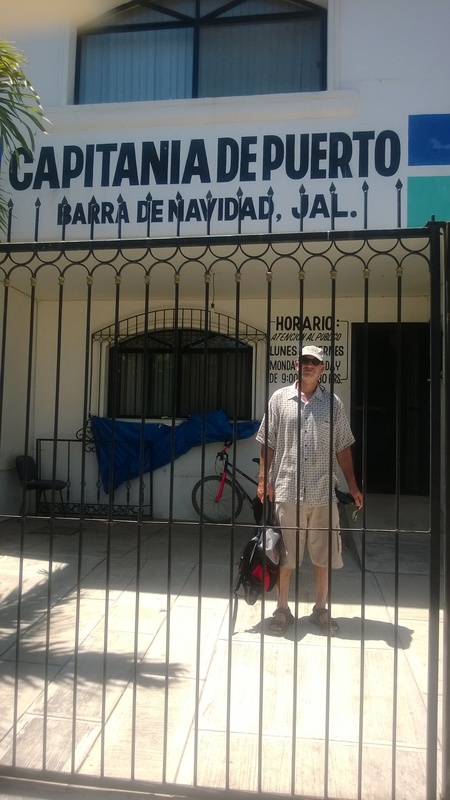 To meet our April 5 Ixtapa rendezvous, we covered the 197 miles from Barra de Navidad to Isla Grande (off of Ixtapa) in 4 days. 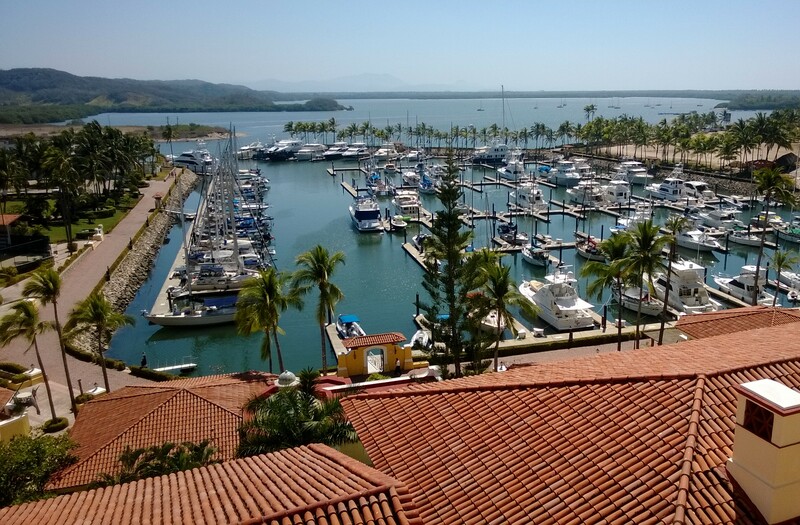 After anchoring out in Santiago, Cabeza Negra, Caleta de Campos, and Isla Grande, we came in to the Ixtapa marina, where our slip mates included a crocodile, an interesting Brit, and a number of U.S. cruisers. 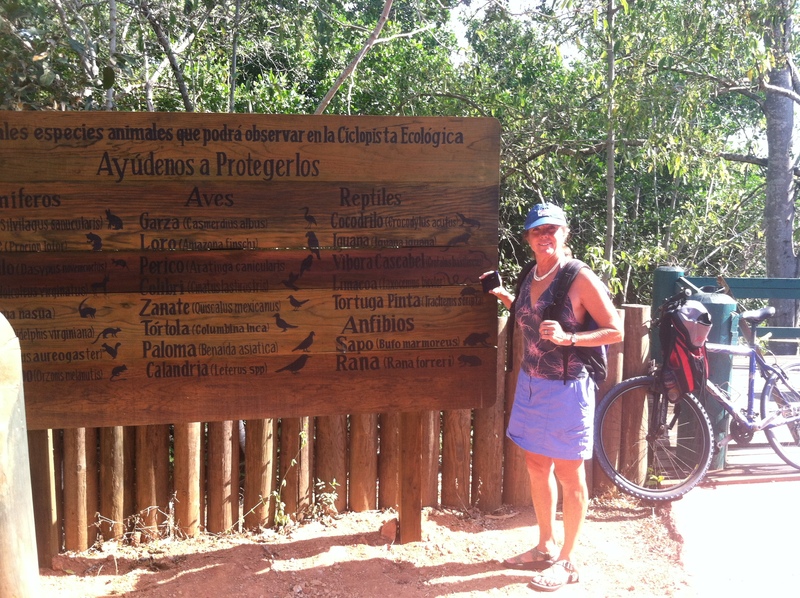 A highlight in Ixtapa is the 9.7 km ciclopista (bike path). After meeting Doug and Karrey Rigby at the Zihuateneo airport, we took a cab to Tronconnes, a town with a good mix of surfing, restaurants, and village life. 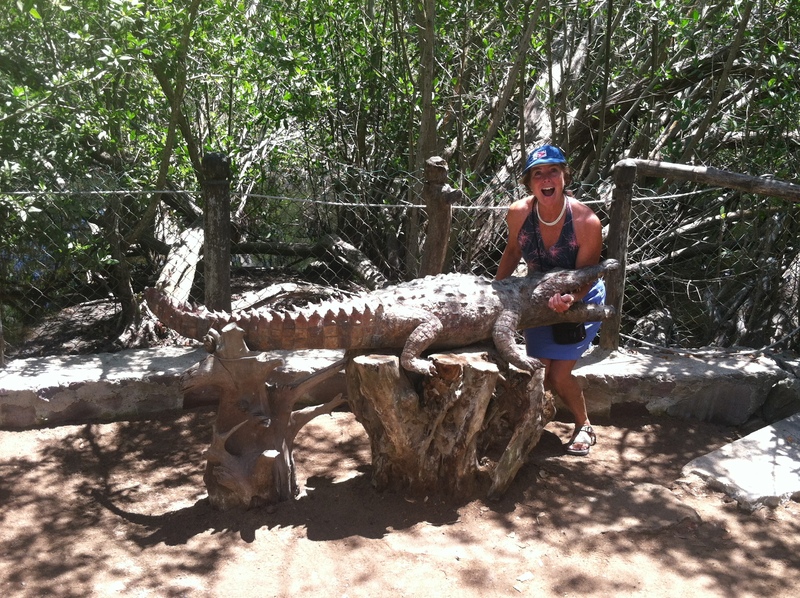 We stayed for several days on shore while the crocodile stood watch over Elizabeth Jean at the marina. 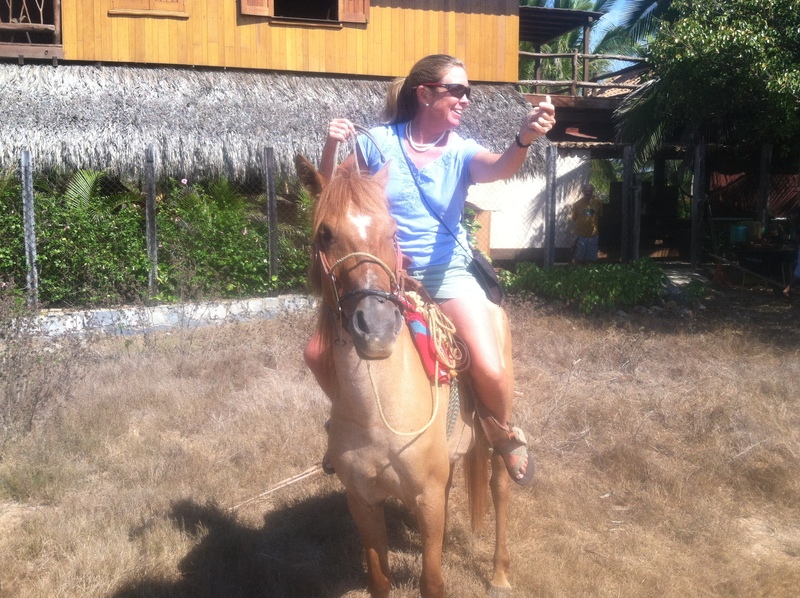 Our visit was filled with morning yoga, long beach walks, boogie boarding, horse back riding, and fresh fish, fruit and vegetables. 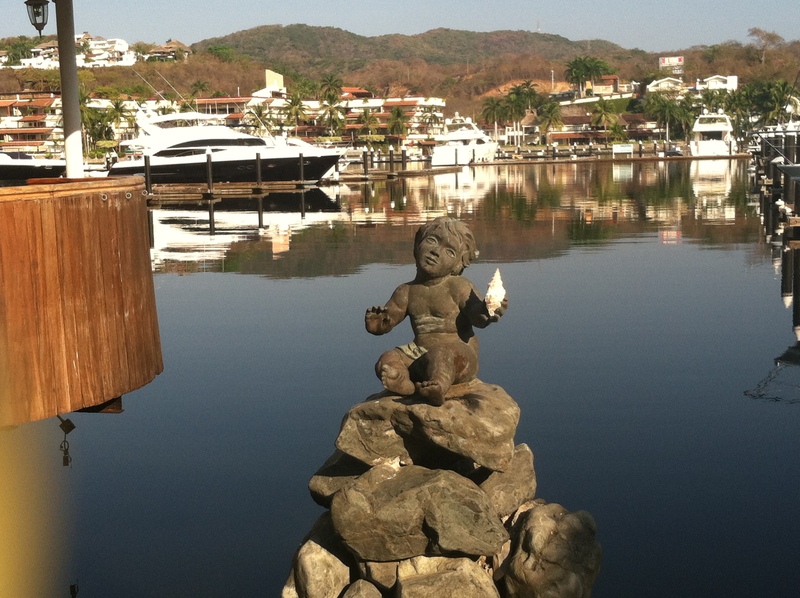 This little fella graced the Ixtapa Marina malecon. This little fella also graced the marina. Its route from the golf course to the outer estuary went right past Elizabeth Jean. Seeing him next to our boat was always startling. 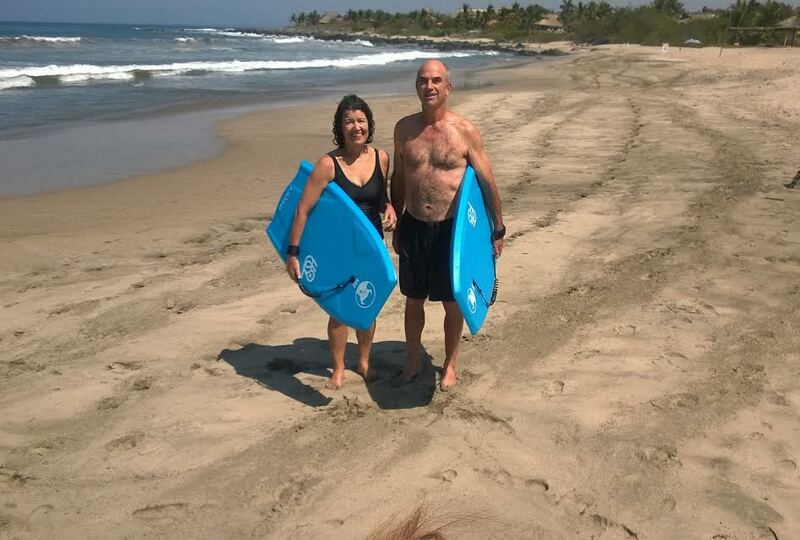 A great 9.7 km bike path went from Ixtapa’s commercial center, through an ecological reserve, to the beach. The sign identifies the animals present in the reserve. 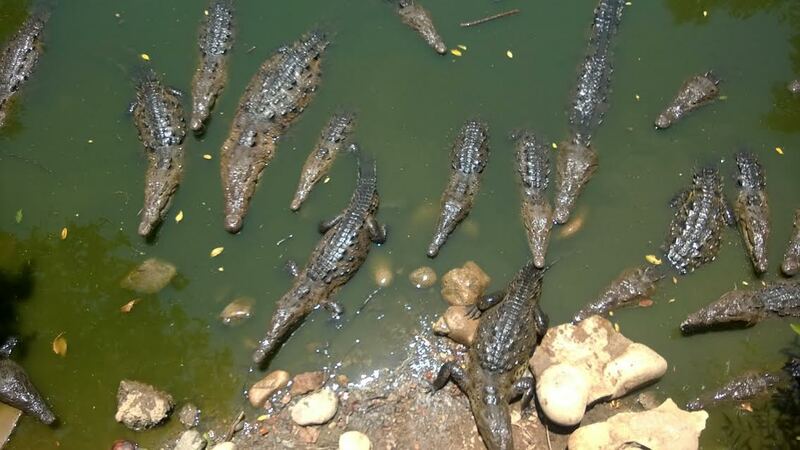 We were not surprised to find crocodiles, but the number that gathered at feeding time was eye grabbing. 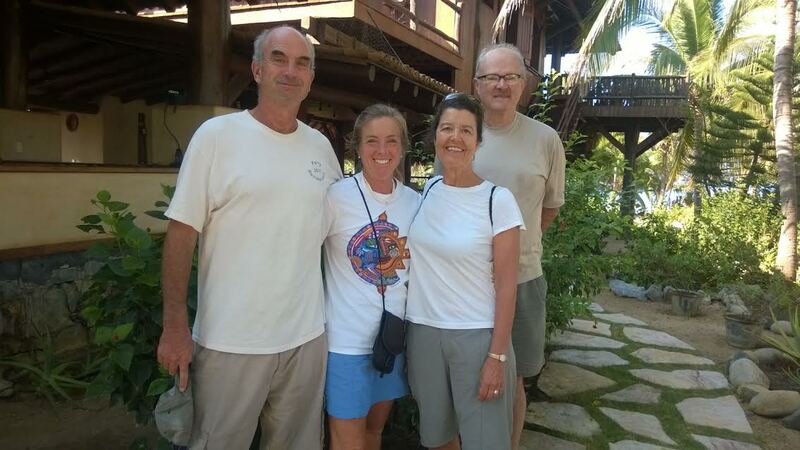 Our friends Doug and Karrey Rigby were the lure to Ixtapa. 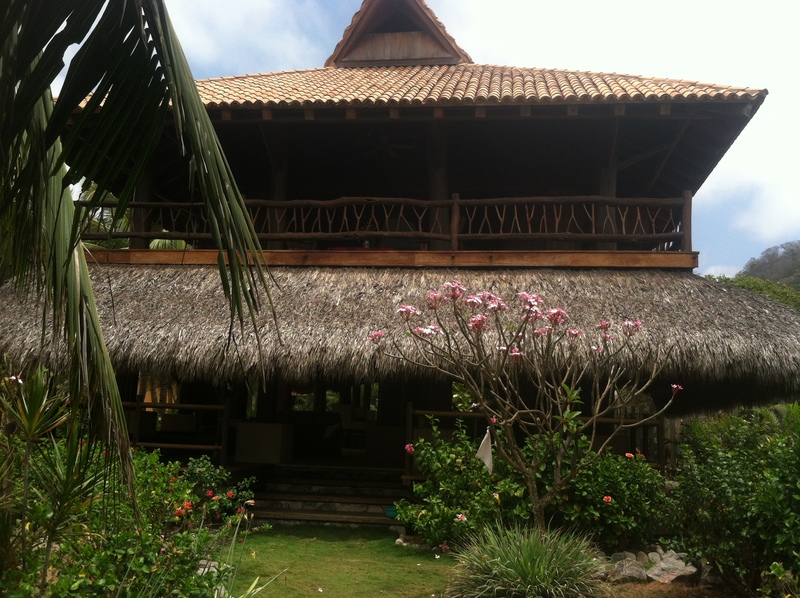 They had access to a home in Tronconnes, about 40 miles north of Ixtapa. The home was an exotic, open air masterpiece. 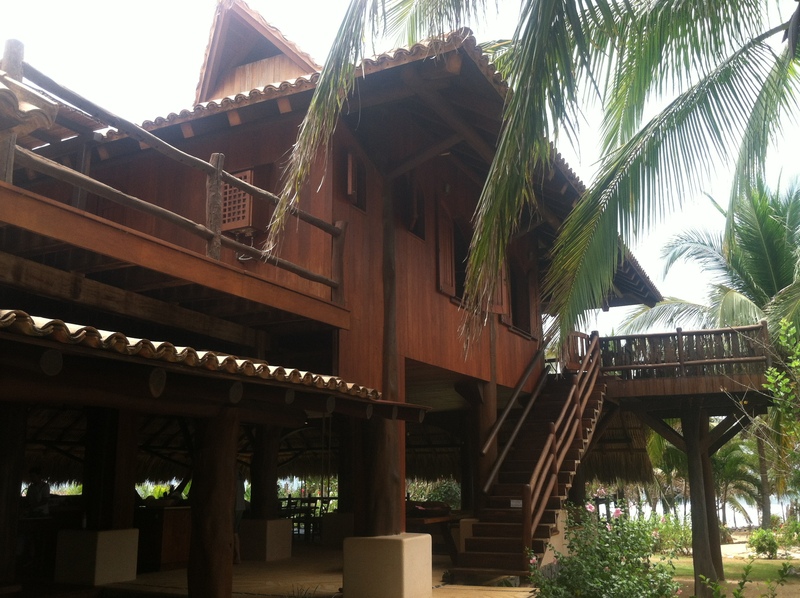 The view of the house from the beach. Eulalie and Eric’s small open air cottage. You never know who you will run into in the Tronconnes surf. The turtles beat us to this beach. 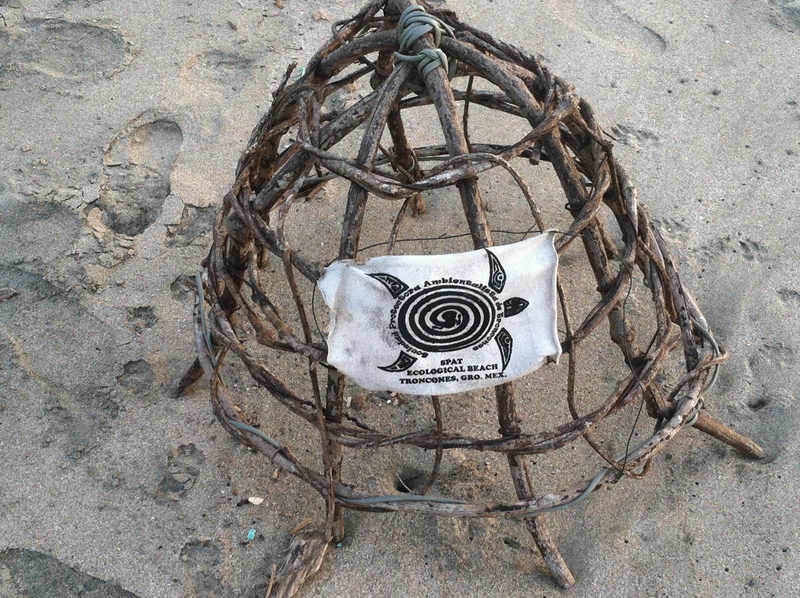 We were glad to see these cages protecting known nests. 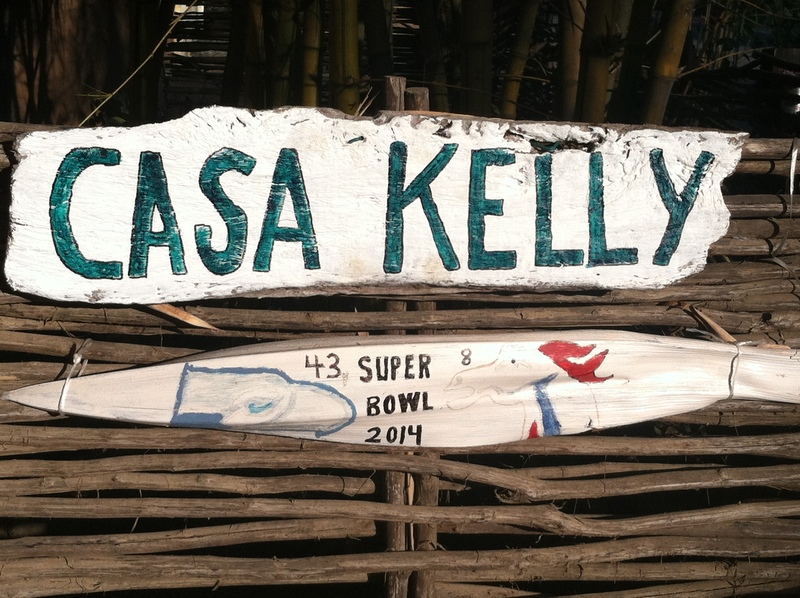 Casa Kelly is the winter retreat for other Seattlelites as well. In addition to this sign, boasting the Seahawk’s Superbowl victory, there was a box for the West Seattle newspaper. We sought refuge from the sun in this colorful beachfront bar on an 8 mile beach walk during the hottest stretch of the day. Surf’s up. Karrey and Eric with boogie boards. 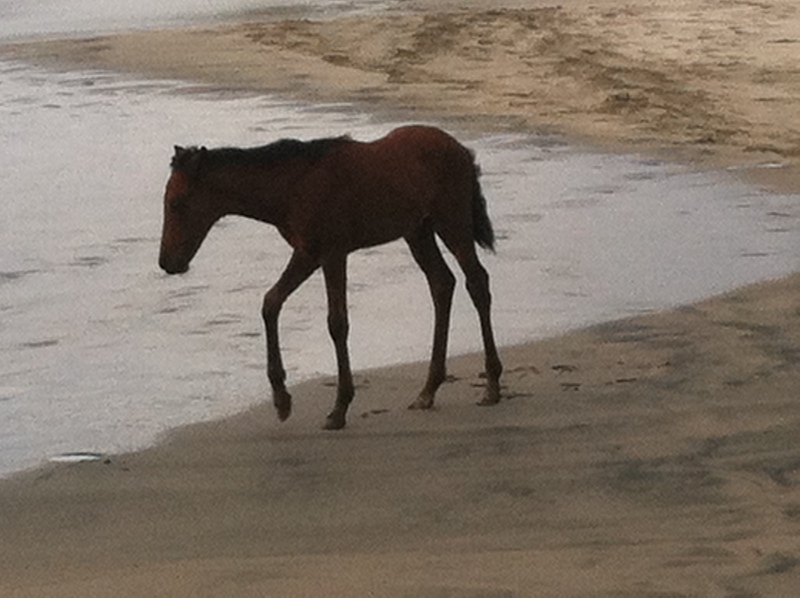 Eulalie explored the beach with her new pony buddy. 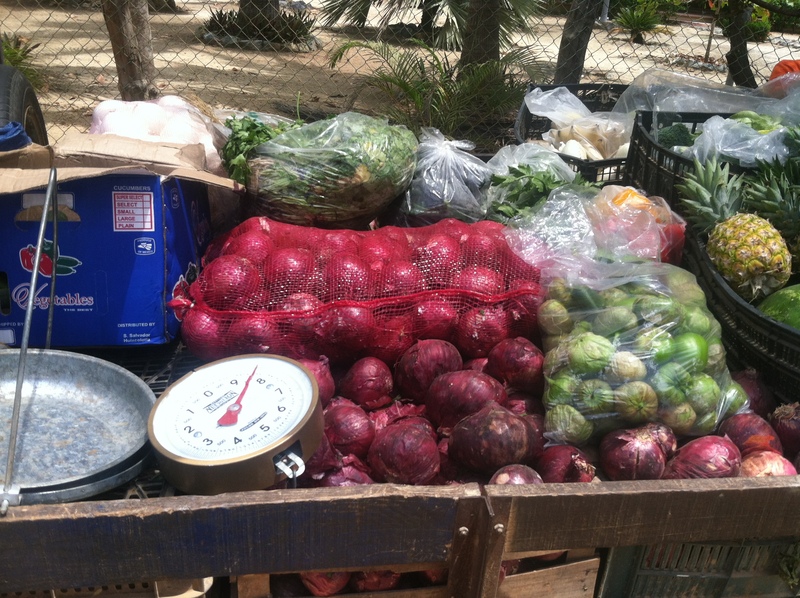 Every other day the vegetable truck came by the house. 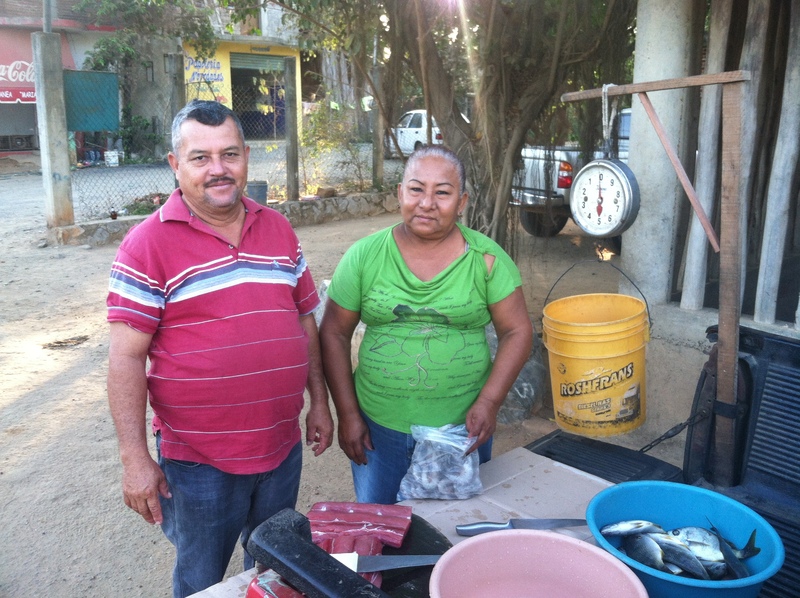 Ruven and Carmen also came by with the catch of the day. The red slab, is sailfish. The bag in front of Carmen contains shrimp. 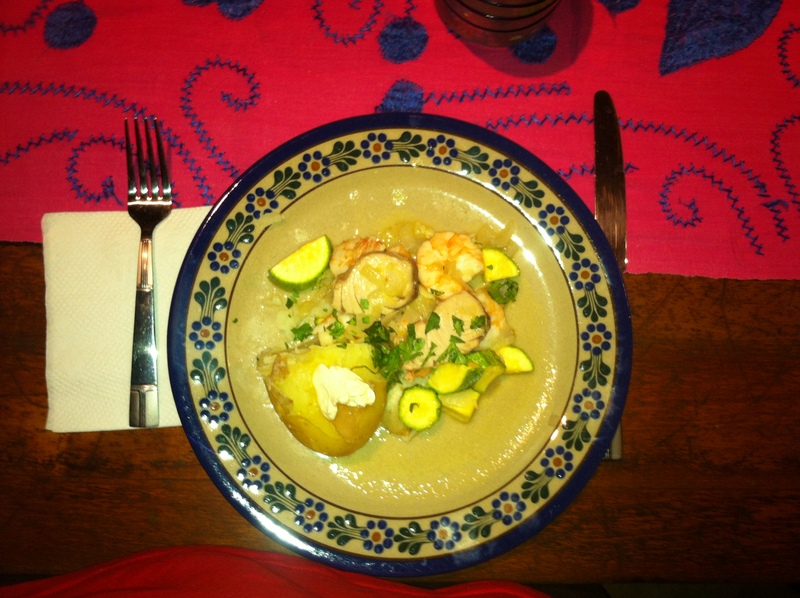 Grilled marlin, sauteed prawns and marlin, with a side of potato and zucchini (prepared by Karrey and Eric) brighten this rustic plate. Eulalie also made her famous lime pie, substituting the tart Mexican limes for Key Limes. Our house made ceviche included marlin chunks, fresh lime juice, cucumber, tomato and jalapeno. We would put it up against the best restaurant version. Eden, a boutique and hotel down the beach from our home a way from Elizabeth Jean, provided an opportunity to dress up. 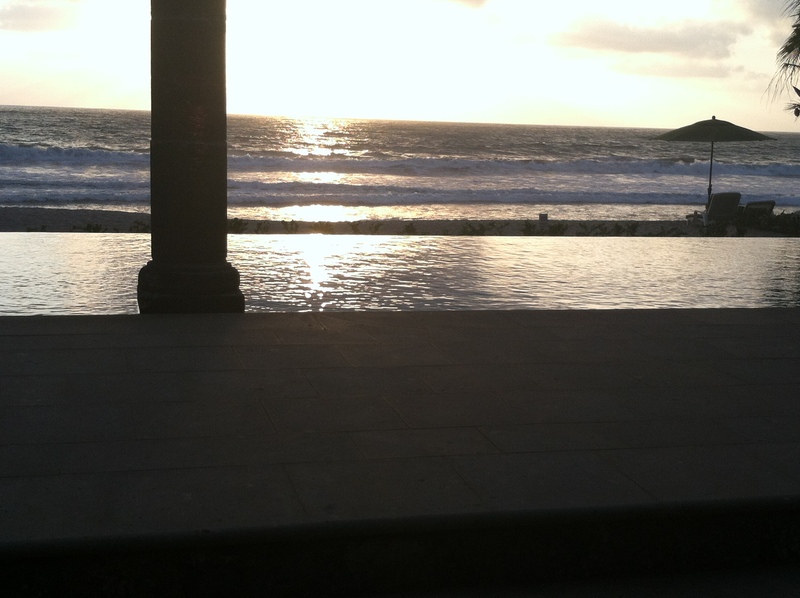 Sunset from Eden’s patio, across the infinity pool, to the Pacific Ocean. To celebrate our 32 anniversary we went scuba diving, an activity that we enjoyed when we were first married but which we did not pursue in colder northwest waters. 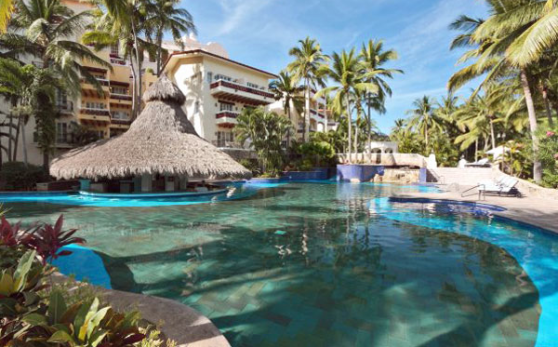 We began with a refresher course with Claire in the Las Hadas pool. 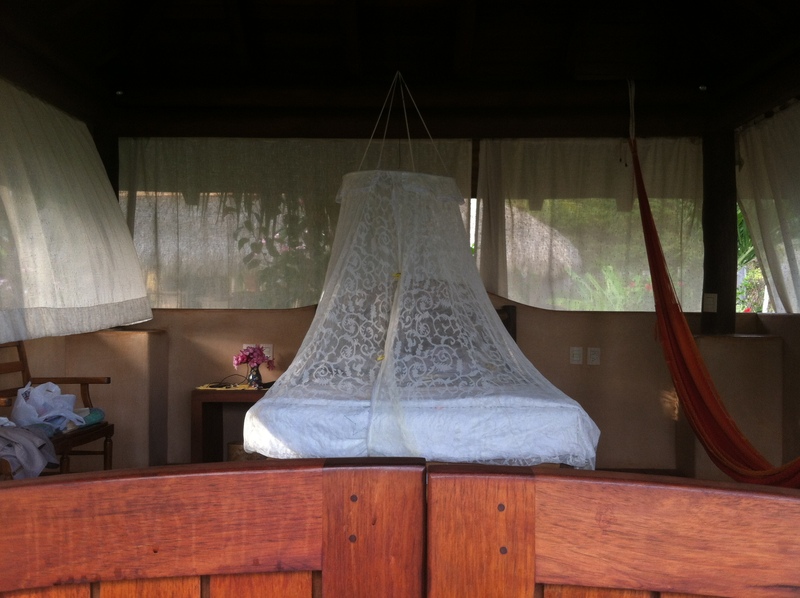 The next day we went with the Ocean Whisper, Manuel to Bahia Carrezales. 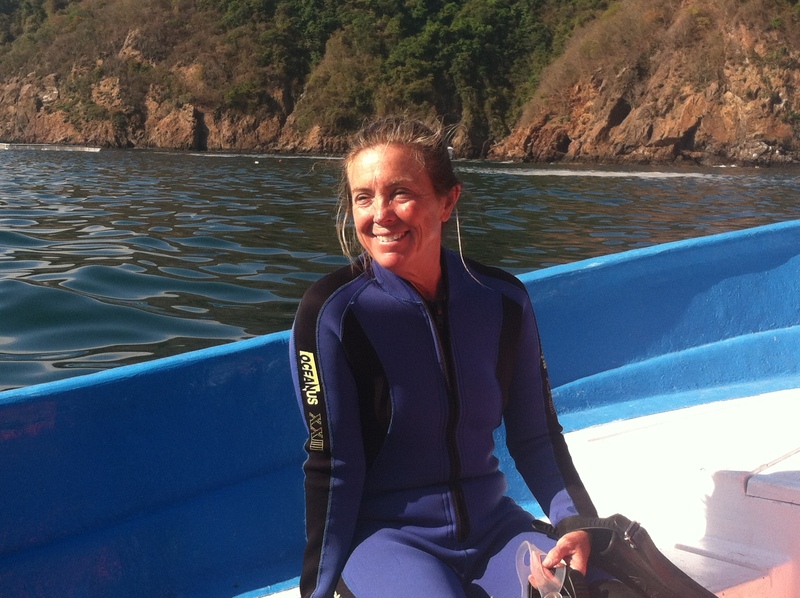 The sea life was abundant and we soon recaptured the art of gliding weightlessly through the coral. Claire and Manuel, our instructors. 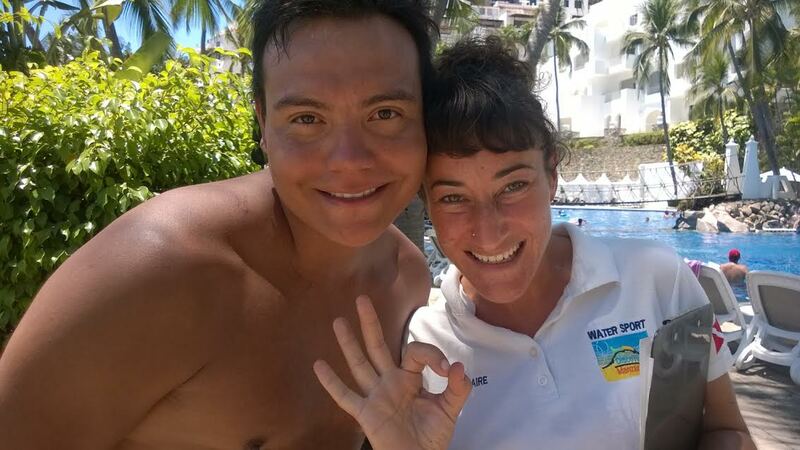 Claire is from England and conducted our pool refresher course. 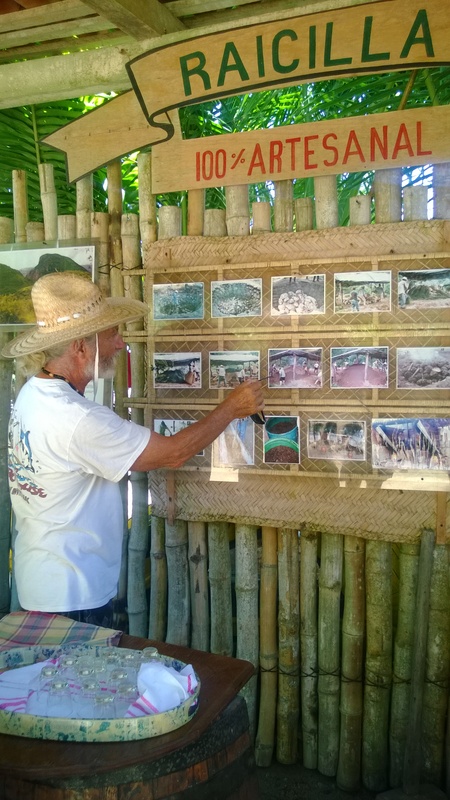 Manuel, an aspiring underwater photographer, has unbridled enthusiasm for the ocean. We dubbed him the Ocean Whisperer. Eric and Eulalie, on their honeymoon diving trip to the Cayman Islands. 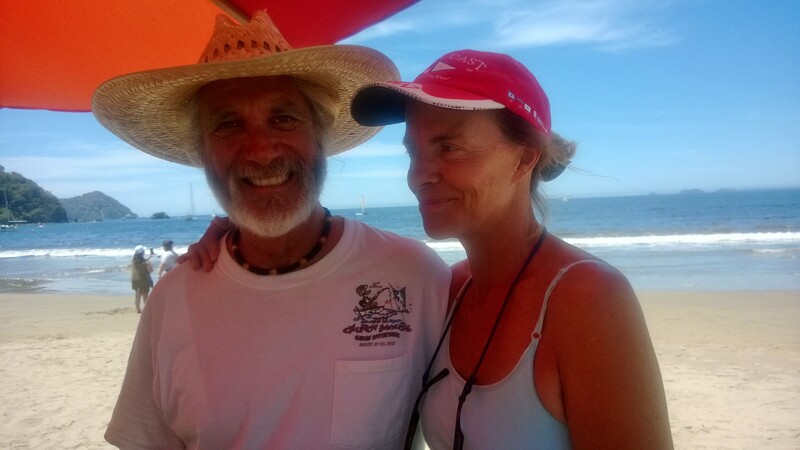 They dove together two years later in Cozumel, but had not been diving together in over thirty years. Eulalie on dive boat. Manuel told her she dove like a mermaid. Eric on the dive boat. Manuel called him Trident. Needless to say we gave Manuel a big tip (flattery will get you everywhere, or at least a big tip). 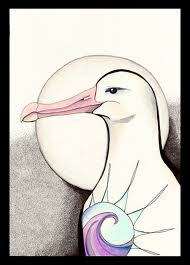 The Albatross speaks: Recent posts have talked about the crocodiles which inhabit Mexico’s coastal estuaries. 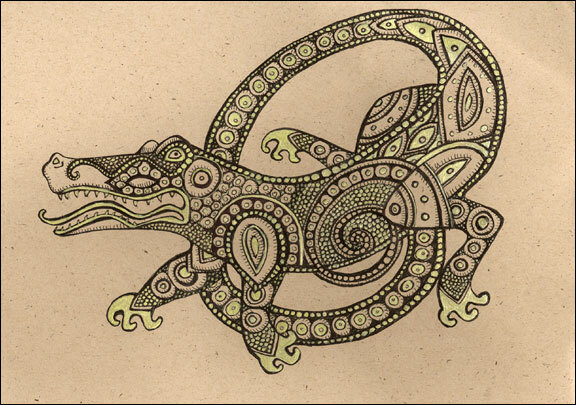 As a totem the Crocodile contains the unbridled creative forces of the world, the fury and ferocity of Primal Energies. 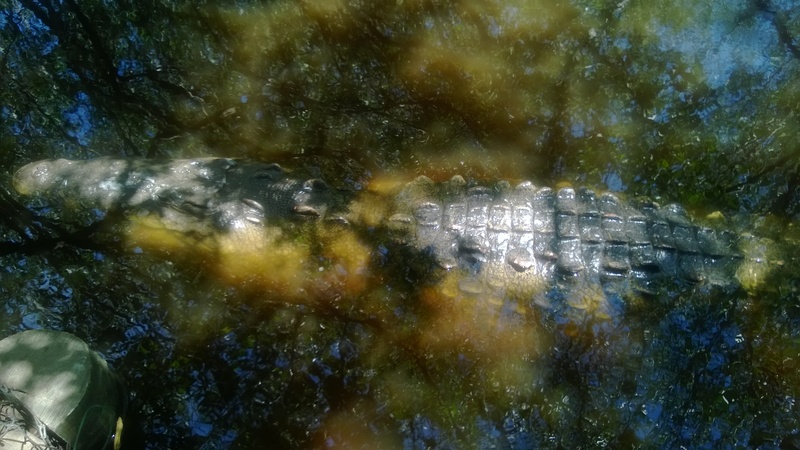 It is the symbol of creation and destruction.People with a Crocodile totem have the opportunity to develop new wisdom but they must be careful not to be consumed by this wisdom. 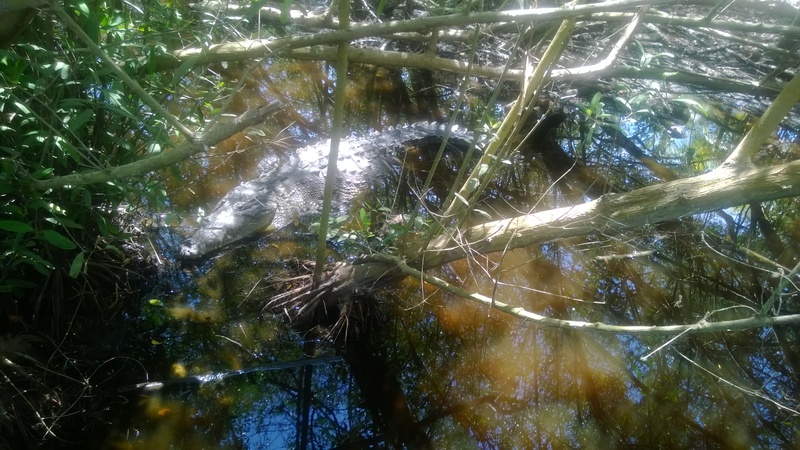 Study each bit of knowledge carefully before going on to the next.When a Crocodile shows up look for an opportunity to touch very primal energies. There will be an opportunity for new knowledge and wisdom. 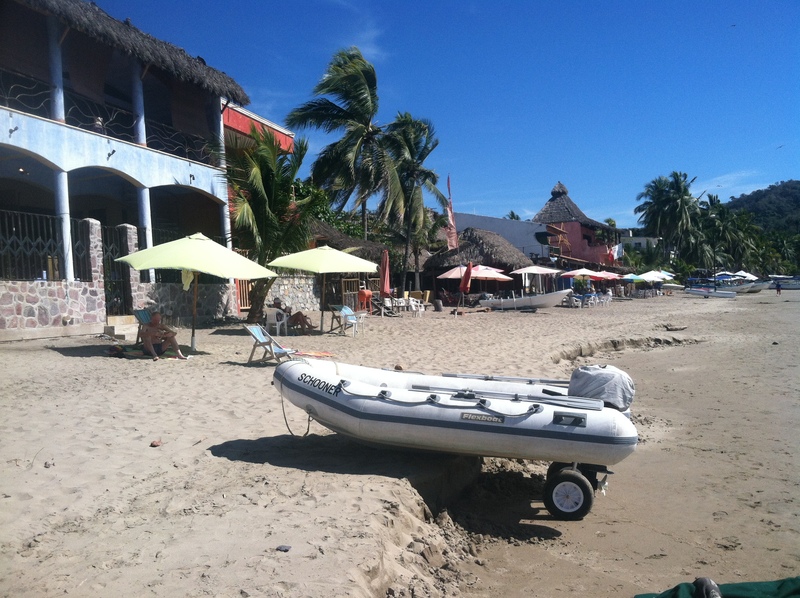 Leaving Bahia de Tenacatita, we moved an easy 14 miles south to Barra de Navidad. In 1540 Don Antonio de Mendoza, New Spain’s first viceroy, sailed into this wide bay on Christmas Day, hence the name Barra de Navidad. The area’s hardwoods provided lumber for shipbuilding and Barra’s shipyard provided vessels and repairs for many of Spain’s navigators and exploratory expeditions, including the 1564 expedition to the Philippines. In 1587, Thomas Cavendish, the British explorer, set the shipyard on fire. 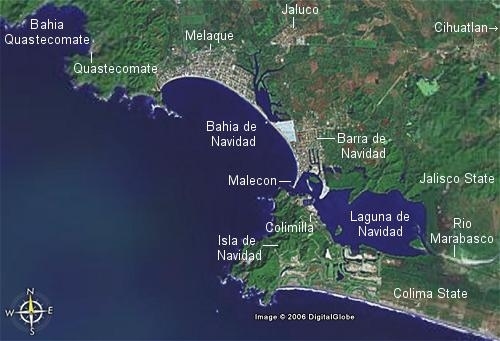 This chart shows the Navidad bay and lagoon. This Albatross’ eye view shows the breakwater entrance to the Barra Lagoon. 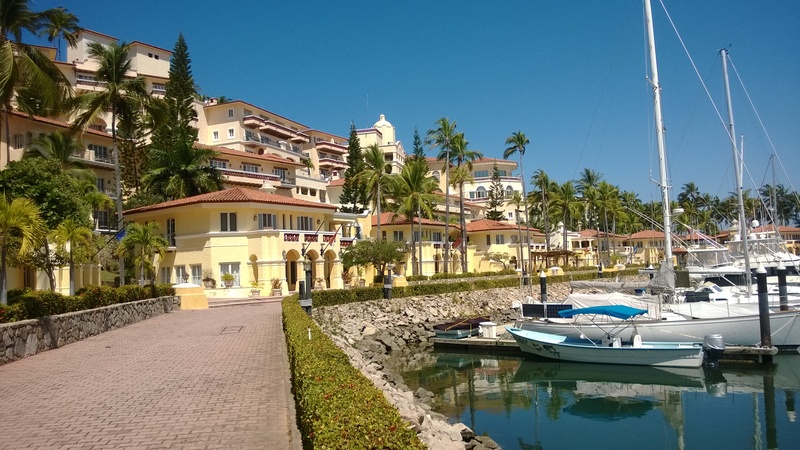 In the foreground to the right is the Grand Wyndham hotel and marina. After 10 days in various anchorages, we chose to wash down Elizabeth Jean and ourselves at the marina. We entered the breakwater with 22 knots of wind behind us, making for a challenging entry. From the hills above the red roofed hotel the sand bar that gives Barra de Navidad is clear. The path to the hotel. The marina from the hotel’s balcony; the lagoon is in the distance. Barra’s french baker, Emeric Fiegen, is legendary among cruisers. After a chance winter visit while living in British Columbia, the baker moved his family to Barra. He delivers his baked goods every day except Wednesday. 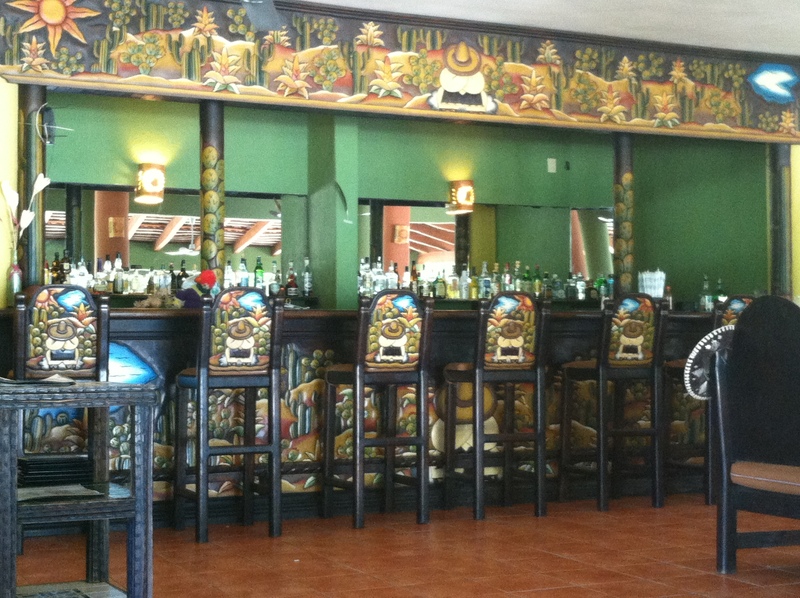 He also has a small restaurant in down town Barra de Navidad. 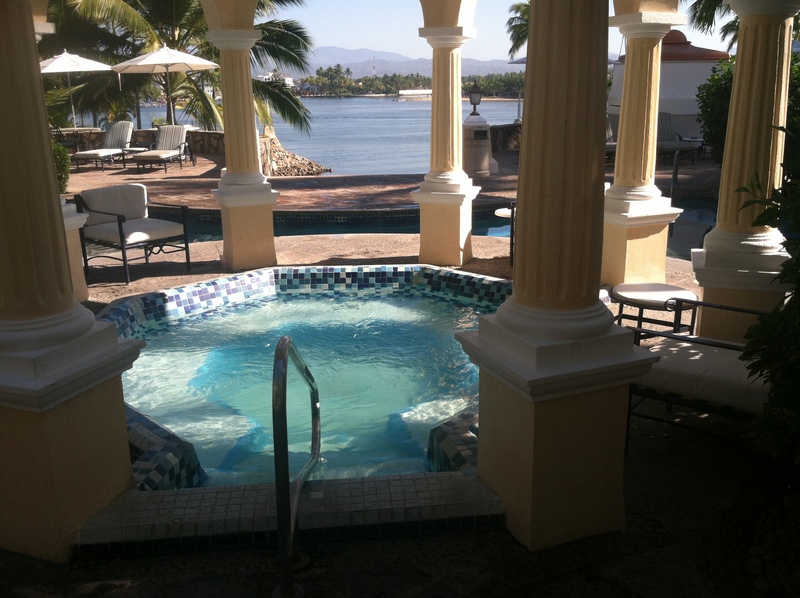 The hotel’s hot tub . . .
Barra de Navidad’s main road. Our destination in town, the Port Captain. 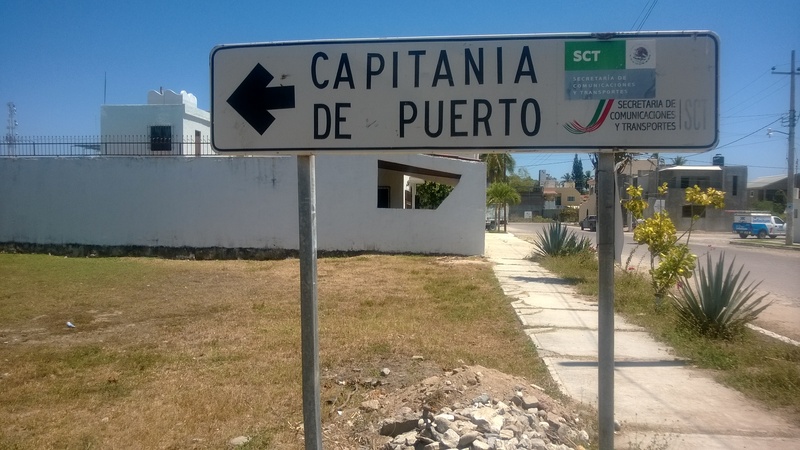 Mexican law requires boaters to check in and out of each port district with its port captain. Districts vary on how they implement and enforce the rules. 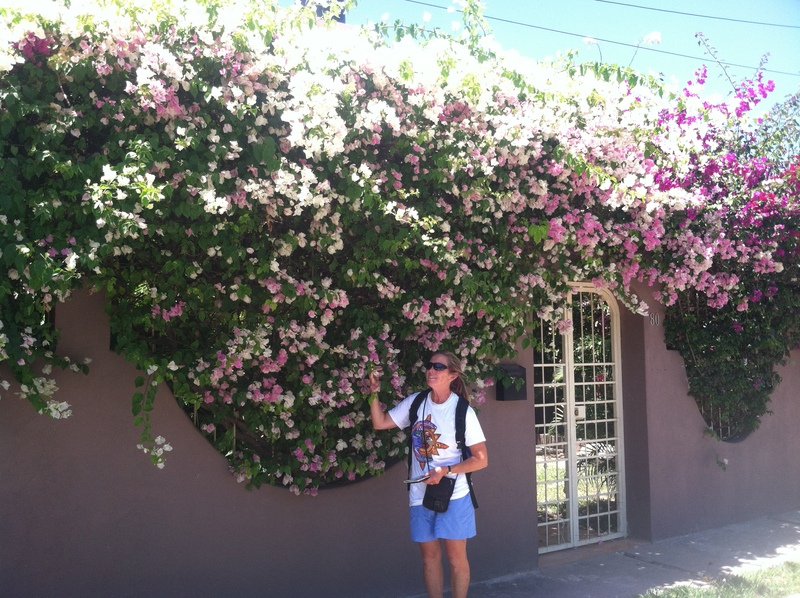 We found the office in a residential neighborhood a fifteen to twenty minute walk from down town. Any resemblance to Eric being in jail is strictly coincidental. Discerning a person’s true Animal Spirit is way beyond the abilities of a mere novelist, who, let’s face it, makes things up for a living. 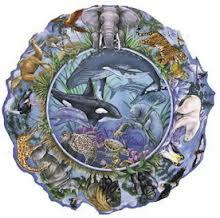 The website provides additional links for those interested in learning more about spirit animals. 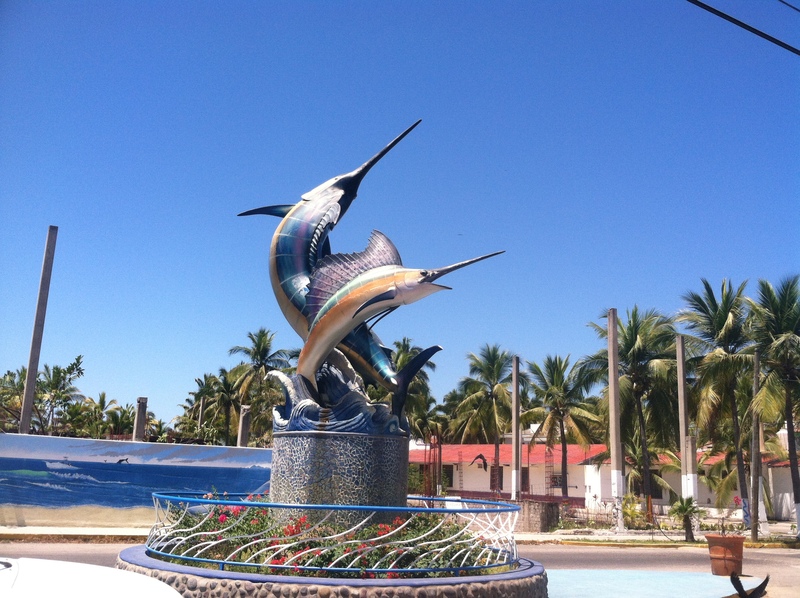 Bahia Tenacatita, a well protected bay, lies approximately 89 miles from Cabo Corrientes. We arrived there after three nights of somewhat exposed and rolly anchorages at Ipala, Paraiso and Chemala. 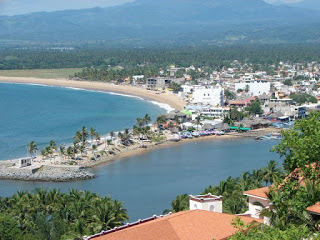 A lake fed stream feeds the Bay’s north end and the town of La Manzanilla anchors the Bay’s south end. 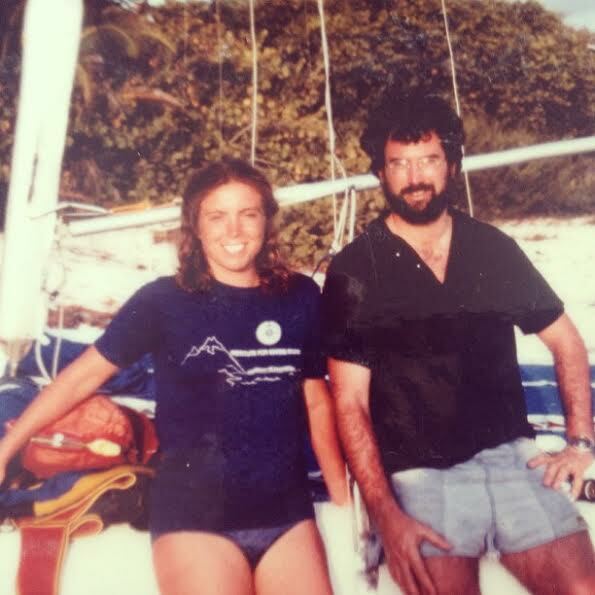 During our first afternoon in the anchorage, Peter and Leslie from Sky Bird dinghied by. They joked that they were most interested in checking out the eye-catching Elizabeth Jean, rather than her crew, but accepted our offer to come aboard for cocktails. They reciprocated with cocktails on Sky Bird the next day and buddy boated with us to La Manzanilla two days later. 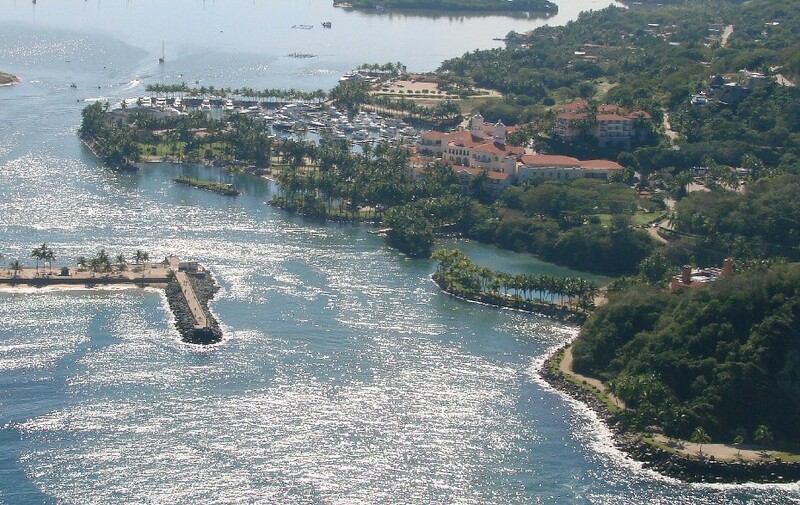 Boats at the Tenacatita anchorage; the rocks in the near ground lead to the mangrove estuary. 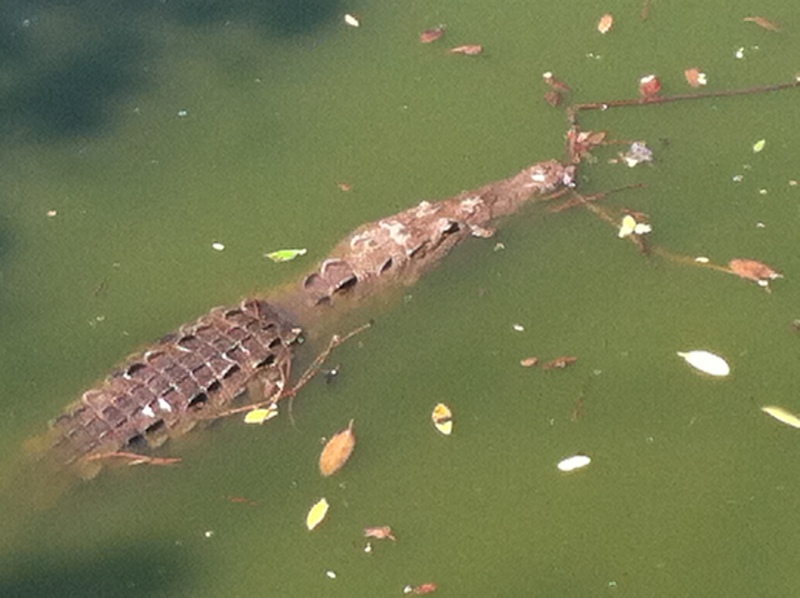 Saltwater crocodiles abound in the estuaries and lagoons of mainland Mexico. 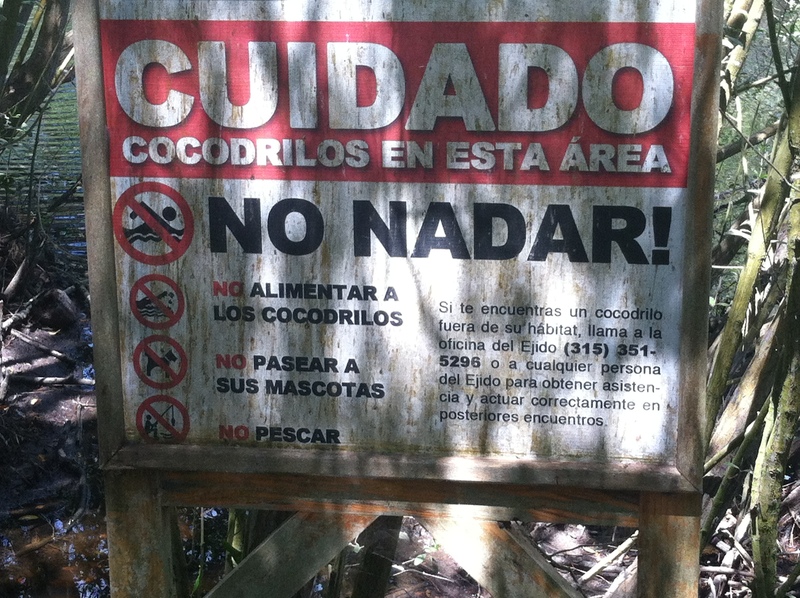 The sign announces “crocodiles in this area” and cautions against swimming. 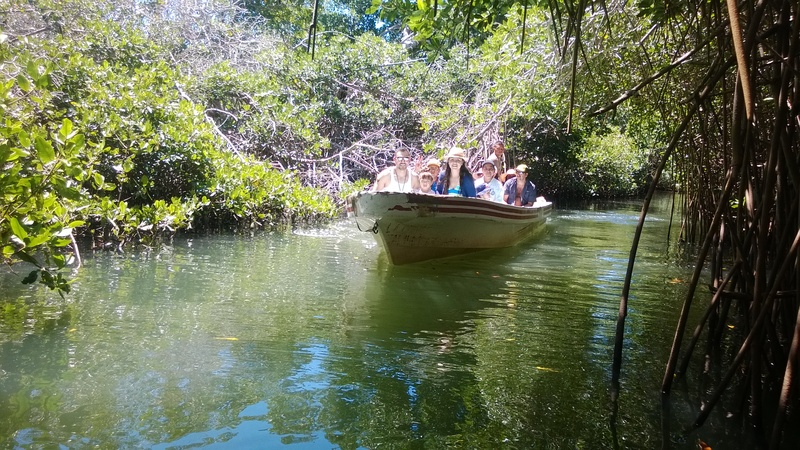 Pangas take groups up the estuary; we used Schooner, whose smaller size allowed us to get through the narrow tunnels in the mangroves. 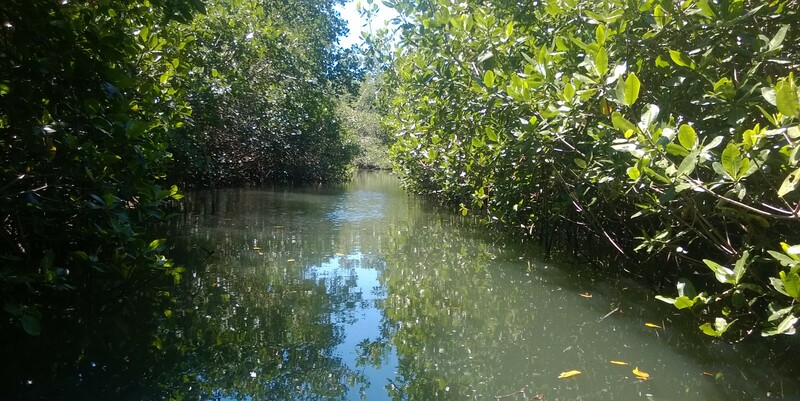 A myriad of birds, not visible in the picture, accompanied us through the mangrove passages. 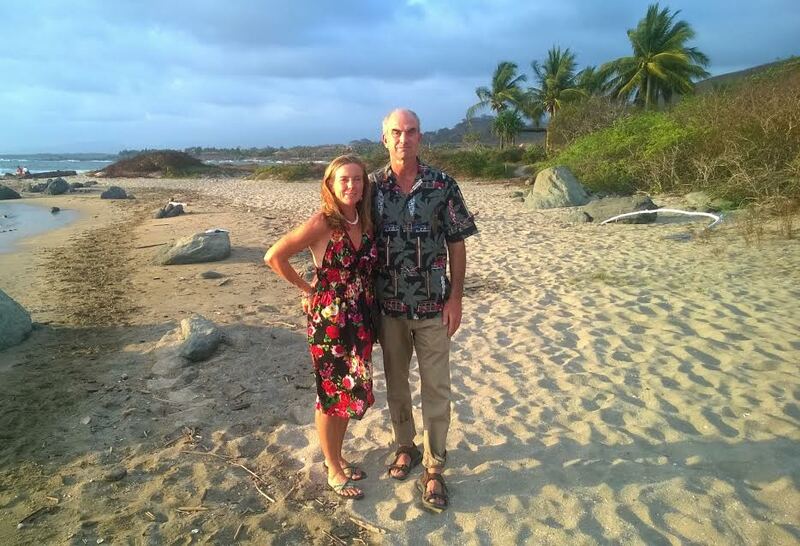 Peter and Leslie from Sky Bird guided us through their favorite spots in La Manzanilla. 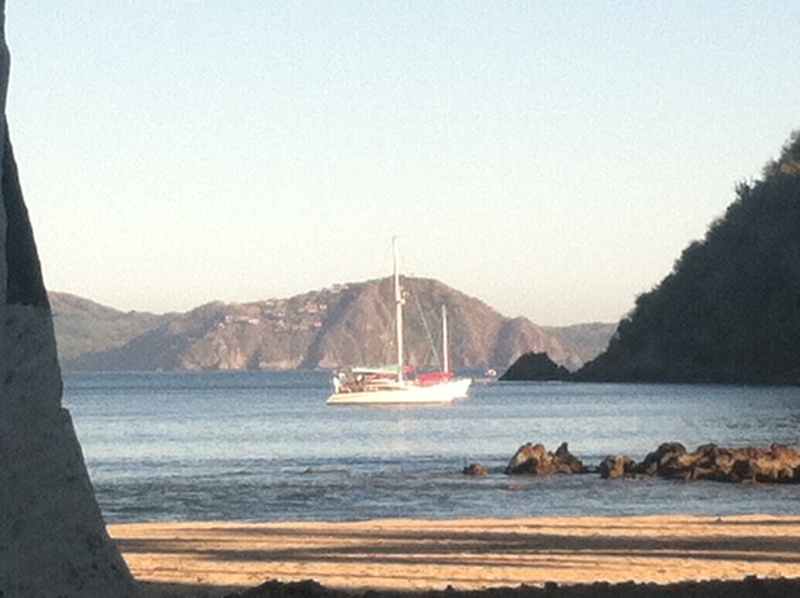 Sky Bird and Elizabeth Jean anchored off La Manzanilla. The pole suspended perpendicularly from Sky Bird deploys a flopper stopper, and underwater device that resits the ocean swells and quiets an anchored boat. In the foreground, the swells approach the beach. 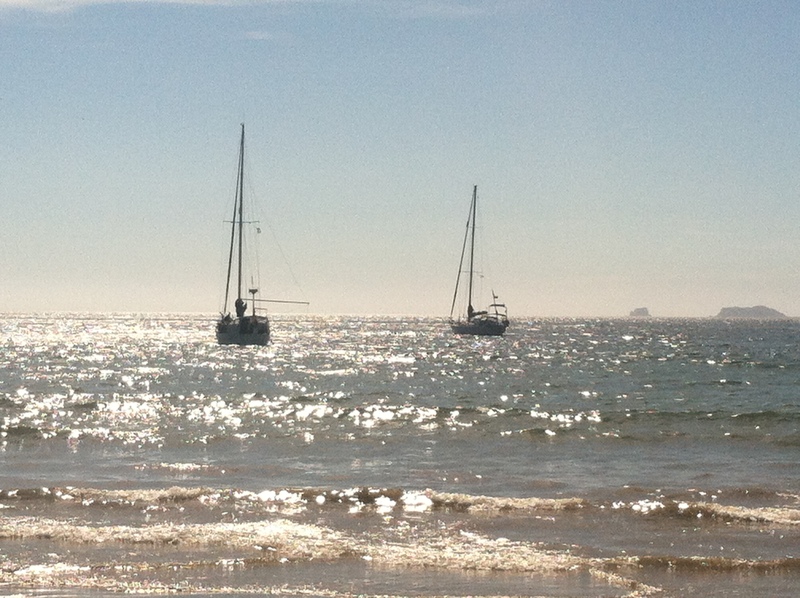 Although relatively gentle, we still needed to time our dinghy landings to avoid swamping our dinghy in the surf. We were mostly successful at the dinghy surfing game. Elizabeth Jean at anchor beyond the surf break. 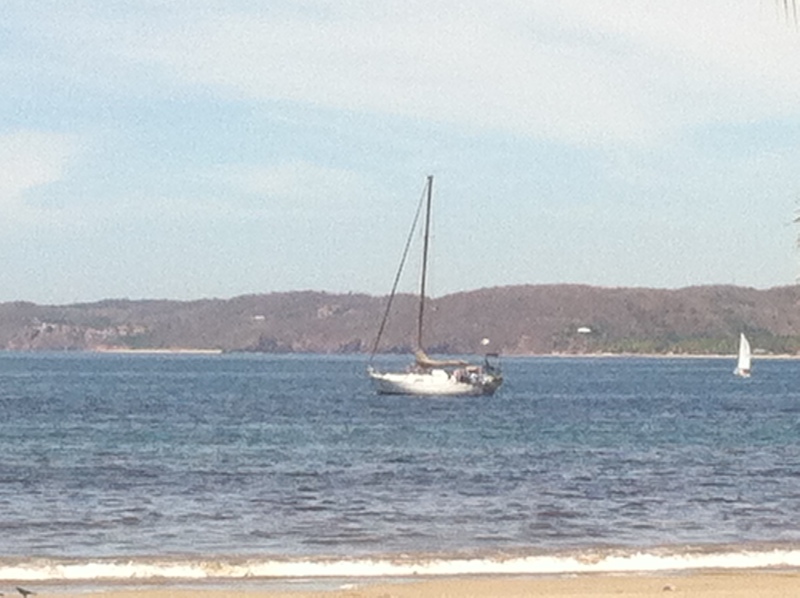 Schooner on the beach following a successful surf landing. Note the dinghy wheels below the stern. The wheels help us drag Schooner above the surf quickly after landing. 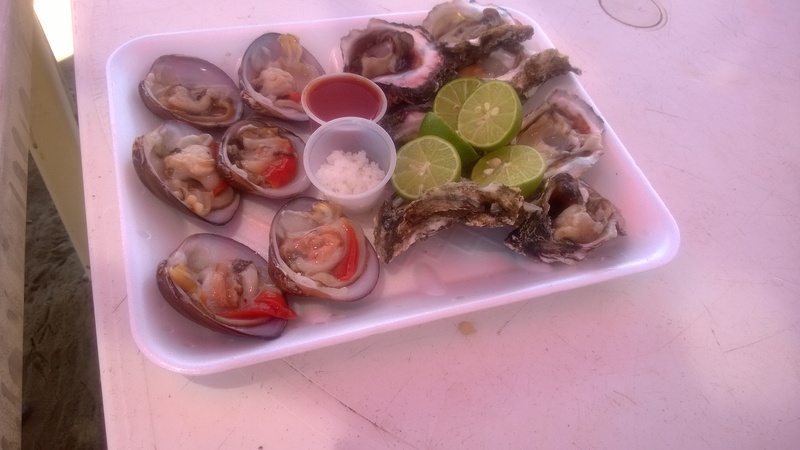 Our first stop in La Manzanilla was a raw bar on the beach for oysters and clams. 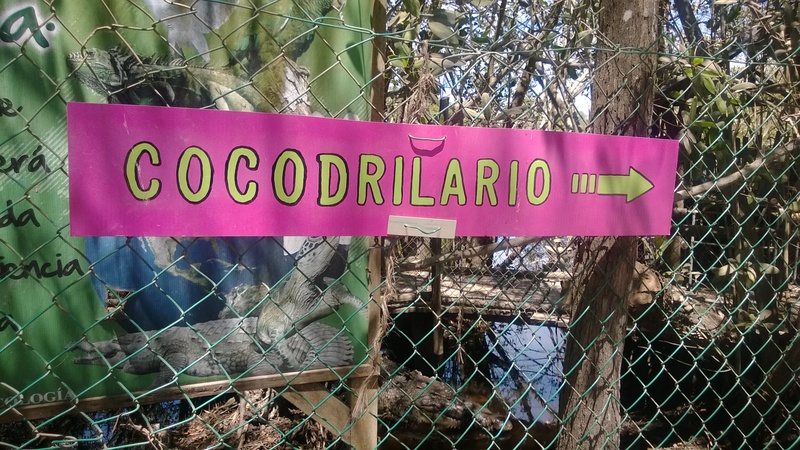 Next stop, the Cocodrilario, or crocodile reserve. Eulalie with a crocodile (stuffed). This one is still alive and well. Professor Peter enthusiastically describes the process for distilling Raicilla, the region’s moonshine, from the silver agave plant. The poster shows the agave being harvested, turned into mash, and then slow cooked so that the steam condenses. 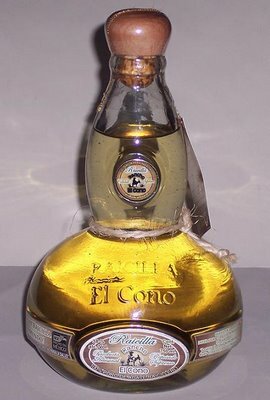 Traditionally raicilla has been sold without government sanction or approval. Recently, legal brands have been appearing on the market. This tasting bar provided samples ranging from 11 months to 11 years old. Leslie with the still. 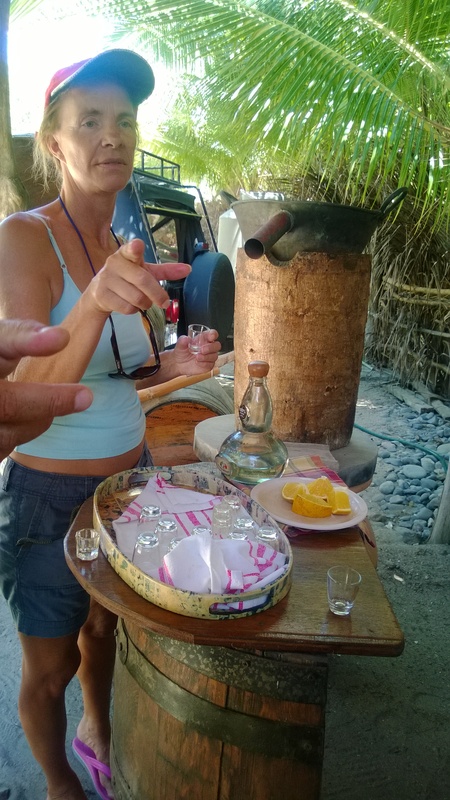 In the foreground are orange slices, Raicilla’s traditional accompaniment. 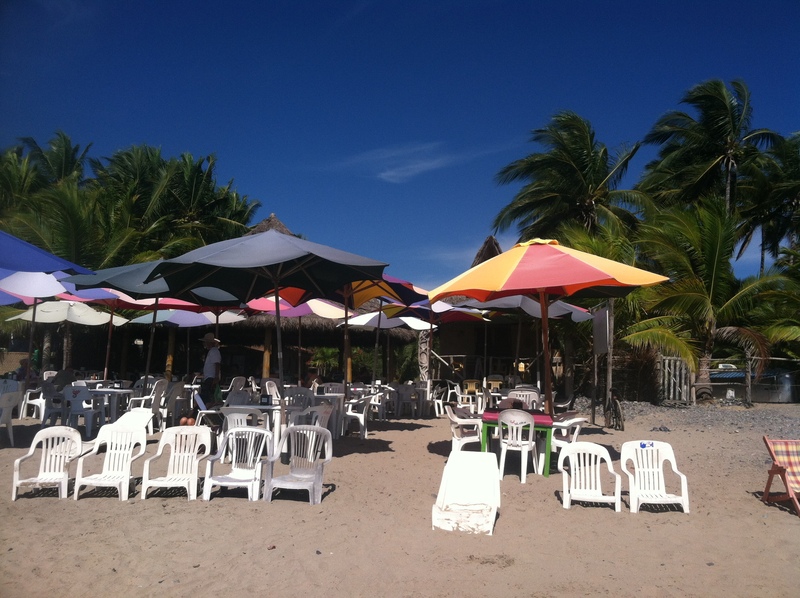 The Raicilla tasting bar included a beach side restaurant where we finished our shore side tour. 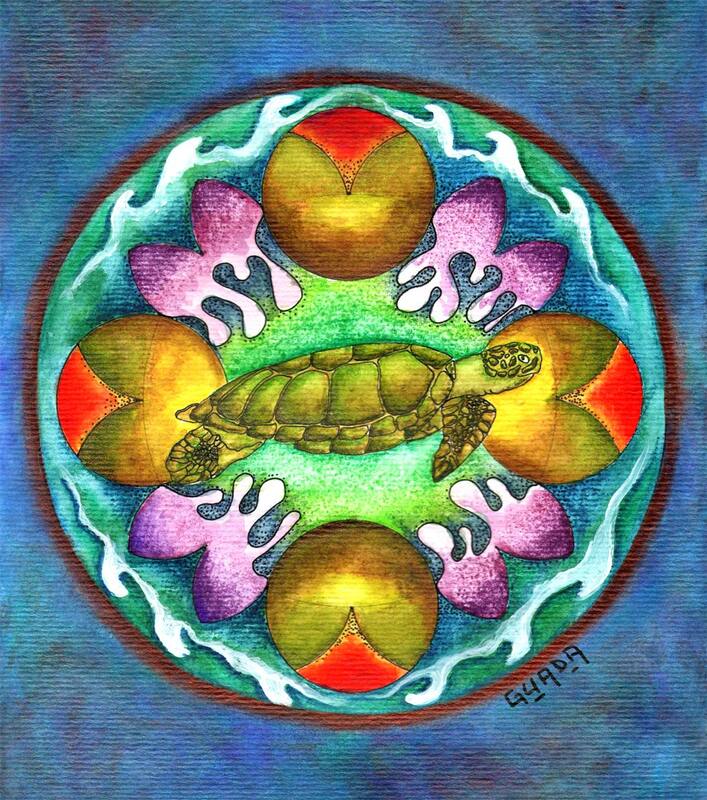 Sea turtles are a fundamental link in marine ecosystems. They help maintain the health of sea grass beds and coral reefs that benefit commercially valuable species such as shrimp, lobster and tuna. Sea turtles are the live representatives of a group of reptiles that have existed on Earth and traveled our seas for the last 100 million years. Today, April 2, is Eric’s father’s birthday. It was the Pog, who introduced Eric to sailing and its gift of freedom. 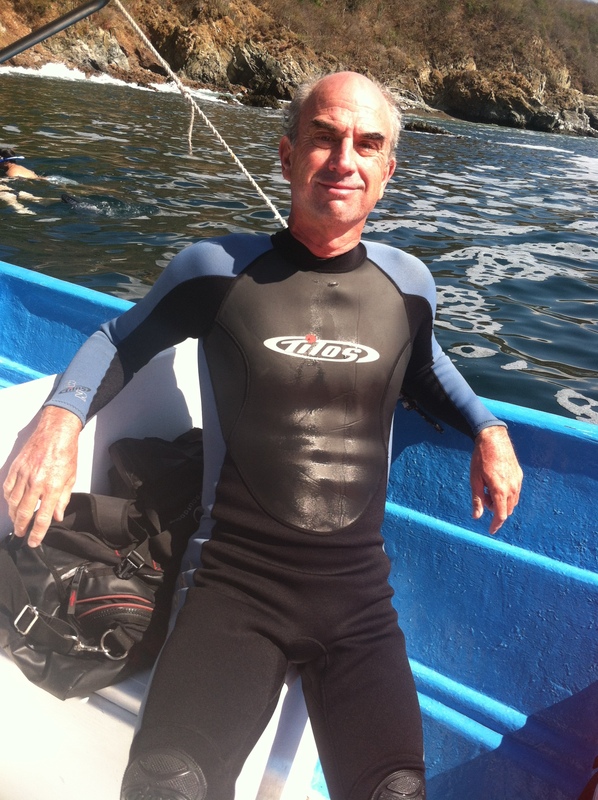 Eric’s mother instilled her life long love of the sea. Eulalie similarly was given the gift of sailing by her parents (Eulalie and John) at an early age. 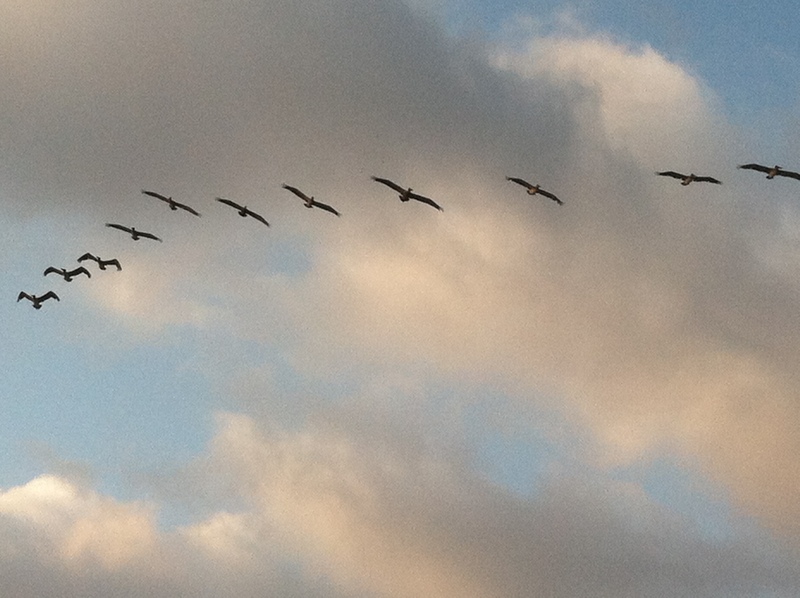 Although they are no longer present on earth, they are present with us as we travel. We honor them and thank them for all they have given us.